I had planned to post another picture for today, but then I found this folder saved on my PC, by my sister, of one of her Goa trips. And I liked this picture so much that I decided to post this one instead, for today's prompt - "transport". This is my sixth post for 2013 June Photo A Day Challenge. Link to the previous post: "Photo A Day - Environment"
Those boat rides are great fun, Chicky! I just noticed your microwave chocolate cake in the sidebar - yum! I have a different, quicker recipe. Yaar Shilpa, the other pics in this folder look like all Goa only. So I guess they didn't go to the caves on this trip. I can't see any Mumbai pics in this trip's folder. Lovely pic and a nice choice for transport. It's a very pretty picture. I haven't been in a boat for sometime now - last time was going to Alibaug from Mumbai. This reminds me, too, of a boat ride from Gateway of India to Elephanta! 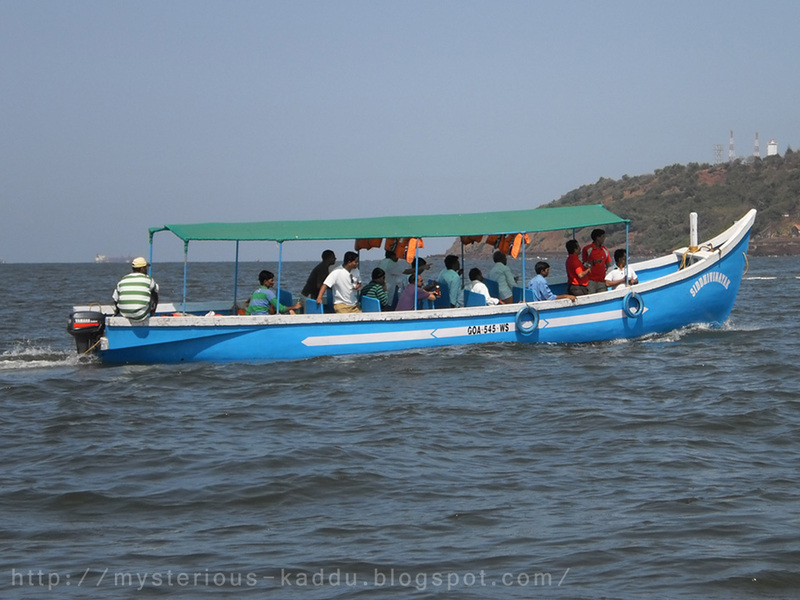 And also of a near bath experience when a boat made taking us across the Chilika Lake in Odisha nearly capsized when its outboard motor caught on a rather possessive weed that wouldn't let us go. I'd like a boat ride though. I miss them. Near bath experience? Oh ho! What a shame? Another missed opportunity for you to have a bath! Tch! I know. Close escape. I am blessed by the God of the Antishower. n i want to go to goa.. been once there n loved it!! @OB - You're such a complete mental!